Available today, in the state-of-the-art showrooms of BENARI JEWELERS, is a wonderful selection of fashion-forward engagement rings and wedding bands Lashbrook. Founded in 2000, the bridal jewelry of Lashbrook is internationally renowned for its exquisite use of "alternative metals" such as titanium, carbon, hardwood, as well as more exotic materials like meteorite, Damascus Steel, and more. Perfect for every style conscious ring-seeker, Lashbrook bridal jewelry is crafted with the utmost attention-to-detail and found can be found today at BENARI JEWELERS in distinctive designs that make are irresistible to any bride or groom. Located in Newtown Square and Exton, Pennsylvania, BENARI JEWELERS is the go-to destination for a fabulous assortment of handcrafted pieces by some of today's top designers including Lashbrook. An authorized retailer, the galleries of BENARI JEWELERS are filled with only genuine Lashbrook pieces that have been hand-selected to represent only the very that Lashbrook has to offer. What's more, the "endless options, endless possibilities" from Lashbrook make it simple to find the dream bridal ring for every individual taste and style. 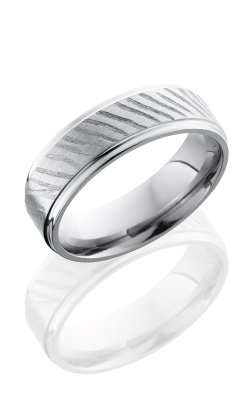 Firstly, for grooms searching for classically-styled wedding bands with a twist, Lashbrook offers the clean cut bands of their Titanium, Precious Metals, and Cobalt Chrome collections. Proud to meet the demands for contemporary-chic pieces, BENARI JEWELERS also extends innovative Lashbrook lines including the modern Tungsten Ceramic, Hardwood, Carbon Fiber, Zirconium, and Damascus Steel collections. Finally, equally as impressive are the futuristic yet elegant pieces from the Lashbrook Elysium, Cerakote, and Meteorite collections. With so many collections and variety of band material options, all men will be eager to find the perfect match to represent their love. With two locations in Newtown Square and Exton, Pennsylvania, BENARI JEWELERS continues to happily serve the greater Pennsylvania area with the latest and most fashionable engagement rings, wedding bands, timepieces, fashion jewelry, and loose diamonds available. In addition to the brilliant pieces by Lashbrook, BENARI JEWELERS is thrilled to be able to offer a genuine selection from Breitling, A. Jaffe, Simon G, Forevermark, Tacori, Triton, ArtCarved, Hearts on Fire, and many more. Committed to exceptional service and a stress-free shopping experience, BENARI JEWELERS offers their guests easy financing, Free Lifetime Service Plan, as well as jewelry and watch repair.